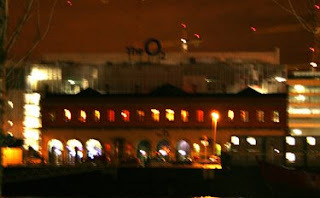 I'm not sure off hand what the total cost was for O2 to sponsor 'The Point', but I'm fairly sure that if I'd paid whatever it was, I'd want my giant O2 logo lit up all the time. O2 would apparently disagree. Lights out for The O2 tonight!